What is the Yi Fa Society really about? Truth is a more complicated concept than we tend to understand it to be. 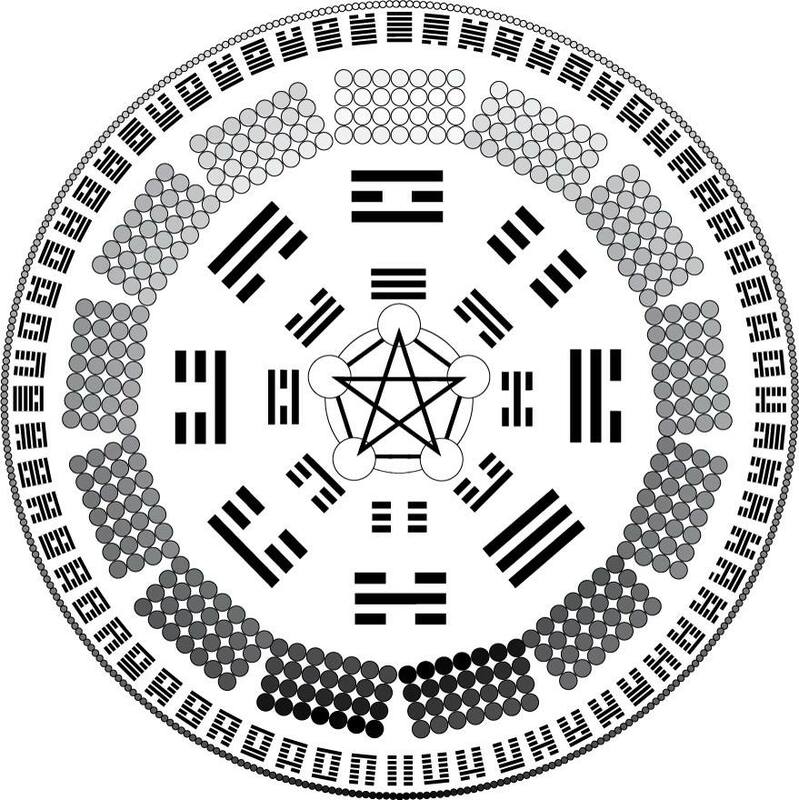 It is also a fundamental pillar of the practice of Cultivation and the development of Virtue. In particular, in the western world, there has been a kind of crisis over the nature of truth that has developed over the last several decades; in our society, certain philosophies have tried to advocate the idea that there is really no such thing as truth, or that truth is an entirely subjective personal affair (which is effectively the same as suggesting there's no such thing as truth), or that "truth" is really just some kind of collective notion where if enough people believe in something that makes it true (which is just a delusion of collective solipsism rather than individual solipsism). This is in stark contrast to certain other paradigms that suggest that truth is starkly and plainly absolute, a thing is either true or it isn't. This latter concept may be more accurate in the sense that Truth is an absolute feature of reality, but it is not really much more productive because it fails to consider the human element of how we relate to Truth, of the process of understanding Truth. There is absolute and objective Truth. 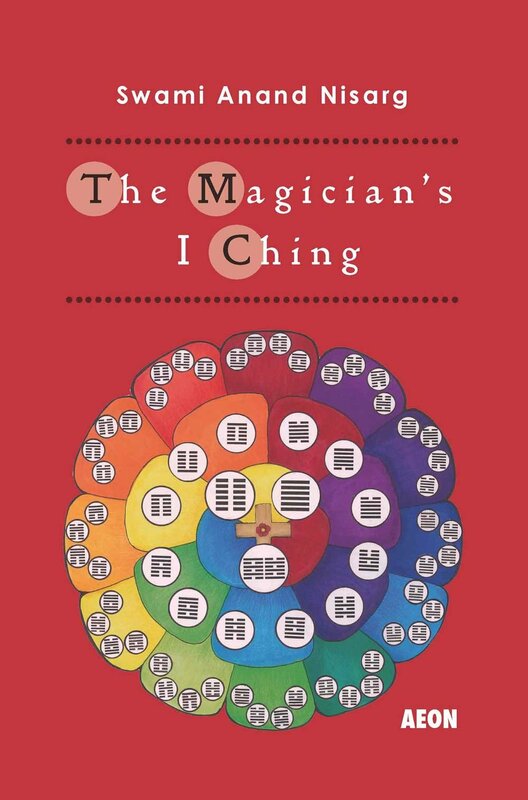 However, what is true at any given time is not immune to the nature of Change, which the I Ching clearly demonstrates is the fundamental nature of all of reality, to which Truth is not immune. The most absolute Truth is change itself. In all other levels, Truth is only absolute in the context of Space-Time. That is, in certain places or in certain times, something can be true. If, for example, it is raining where you are right now, that it rains is Truth, when and where you are. There's no relativity to that Truth, no amount of believing differently changes the fact that it is raining, and thus we see that it is objectively true; but we also know that it was not raining before, nor will it be raining later, so it is also a truth that is affected by Change. Saying "it is raining" is true only while it rains. With other, much vaster things, the time-span of how long something is true can be orders of magnitude greater, but it is just as affected by Change. Our awareness as a whole, which includes elements like senses, our ability to reason, and our conscience, allow us to process and attempt to determine Truth. Because we are imperfect, and because the nature of what is true can change over time and place, the process of understanding Truth is a constant and ongoing process. We must continually unfold truth from our inner awareness and our observation of reality. How do we do this, in practical Cultivation terms? As always, the process must begin within ourselves. The first step to unfolding truth is found in our own choice to make the attempt to pursue truth, over what is not true. This can be defined as "sincerity". It also requires Discipline, to have not only a sincere dedication to seeking truth within and without your own being but to do what is necessary to embody this process in the world. Sincerity is important on a rational basis because if you are deluding yourself it is bound to impede your ability to see what is true about nature and reality; in a more esoteric sense, one could say that it is the nurturing of Truth within your own being that can allow you to connect to Truth in the macrocosm beyond you. This leads you to the second step, of being able to examine the nature of Reality on a regular basis; through both rational study and the development of learning, and meditation and the development of consciousness. This observation allows the third step, where you can determine what are right actions, truthful actions, within reality at any given place and time. This allows you to operate in Harmony within yourself, and with your surroundings. Finally, there is a fourth element to this process, which is the question of how you relate Truth to your responsibility for humanity, how to apply truth to benefit humanity through contributing to its spiritual evolution (what can be called the Great Work). Being sincere and harmonious within ourselves develops within us a quality of fairness, where we wish for the world to be a fair place, for ourselves to be treated justly and for others to be treated justly. Our observation of the interconnection between all things in the tapestry of Space-Time makes it clear to us that this is necessary, because our well-being depends on the well being of others, and vice-versa. Similarly, any claim we have over any natural rights depends on others having the same natural rights. At the same time, it is only through observation of Truth, and the degree to which we are able to accurately observe Truth, that we can consciously apply this sense of justice. We must be capable of being able to pragmatically manifest concepts like justice, rights, and well-being, in the degree to which is possible in the time and place we are located. It is only through that degree of understanding what is true that we can manage to enact beneficial change (for ourselves and others, in the short term and building up into the long-term) that can actually work as intended, harmoniously with the reality of what is functional. A video today, explaining our relationship to the universe, and the path to Union. All spiritual cultivation starts with the body. It's very important to find your center in the body. But then, when you are seeking to unite to the rest of the universe, you can't achieve that if you are looking at your own being as the 'center' of the universe. The universe is vast and if you try to push your own being into the center place of it, you won't be able to Unite; you will still be trying to have your own separate being at the middle, you're essentially trying to demand that the Universe unite with you (or "around" you). When connecting to the Universe, you have to realize that you are United to it as an inseparable part of it, but not the center around which all other things orbit. 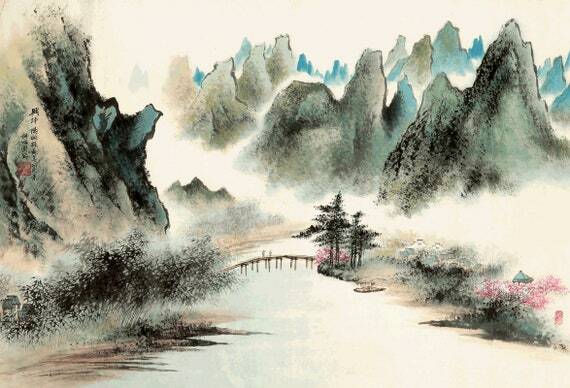 It is like the pictures in Chinese art. You see this style where there are great landscapes, symbolic of Nature and the Universe, and then somewhere in some little edge or corner, there is a person. When you try to put yourself at the center of the Universe, this naturally alienates you from reality, and from the physical, and from association with your body. Conversely, when you return your meditation to the body, you go within, and step out of the illusion of your own centrality. Paradoxically, only by doing so can you experience the vastness of the universal in a truthful way. You do not need to be in the middle of this vastness; in fact, you can't be. You can't achieve that and create the appropriate place for the universe. To Unite, you need to see your place in the enormous vastness of space/time that came before you and comes after you, that is beyond you and behind you. That is to say, of your notion of you. When you can be comfortable and fulfilled with just being a part of the big picture, even as a small figure on one edge of the canvas, then you can achieve Union. Here is a repost, because in light of my previous blog someone had asked me for it, of the video on how to perform Qi Breathing. Some students have asked me regarding how to effectively maintain cultivation practice when they are sick, or very tired, or swept up in emotional turmoil, or deeply distracted by some other activity. This is a very important subject. With regards to all four points of difficulty, clearly it is easier to Show Up when you are in a state of Balance. All four of the situations you describe are basically situations of being unbalanced. And yes, all four can be difficult. The fact is that when you are challenged, that's when it's easy to lose balance. It's in those moments that you have to have the level of consciousness to be able to realize that you're out of balance, and then get back to it. Getting back to Balance can be as simple as remembering to Breathe; but you can't expect to be able to achieve that if you are only trying to remember doing that when the unbalanced situation arises. So now this is where Discipline comes in. If you can engage with Qi Breathing on a regular basis, doing it when things are in Balance, that will make it much much easier to remember to Breathe, and restore Balance, when things are difficult. In this week's video, I talk about freedom, on both the level of the individual and also of society. And I try to explain that freedom is the fundamental requirement for spiritual transformation in an individual; and that a society that values freedom is going to be more open to evolve socially than one who disregards the freedom of the individual.